The Absolute Best Restaurants in GowanusA home for festive Korean barbecue, hangover-curing Cubanos, and red sauce both retro and refined. 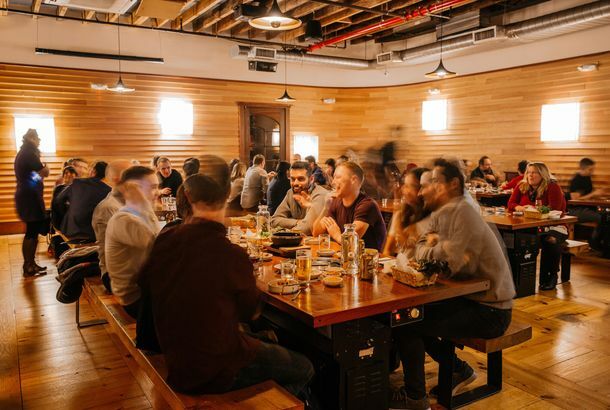 Korean Barbecue and Karaoke Palace Insa Opens Tonight in GowanusFrom the couple behind the Good Fork. Sneak Peek at Upscale Korean Barbecue Temple Kristalbelli, Opening March 8It’s glitzy, pricey, and meat-smoke-free. Kristalbelli Will Bring Upscale Korean Barbecue to K-TownThe restaurant is slated for December. Parc’s Chef Moves to Farmers’ Cabinet; Zoning Board Approves PlansRounding up the region’s neighborhood news.